On January 24, NYU Washington, DC will host an event featuring a discussion between Speaker of the Fifteenth Knesset and NYU AD Visiting Professor, Avrum Burg, and President and Co-Founder of the Arab American Institute and NYU Visiting Scholar, James Zogby, who will delve into some of the conflict’s issues surrounding border settlements and security, refugees, and the place that started it all, Jerusalem. 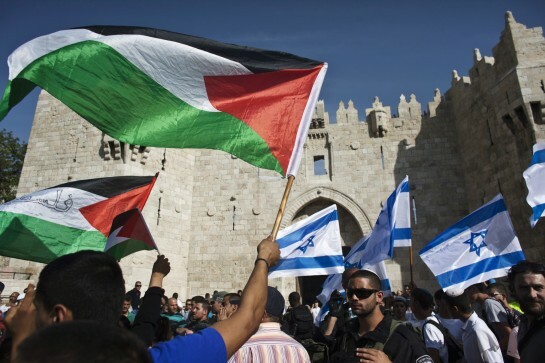 Continued political divide, negotiation stagnation, and unwavering distrust are only some of the many obstacles in the festering conflict between Israel and Palestine. Israeli Prime Minister Benjamin Netanyahu and Palestinian Authority President Mahmoud Abbas have not reached a deal, nor does this seem to be likely in the near future. In what some call the post-Oslo era, can this conflict be resolved without US intervention? Does the current administration’s neglect of new measures to continue propagating “land for peace” unveil the US’s future role? What is the best solution to this conflict?